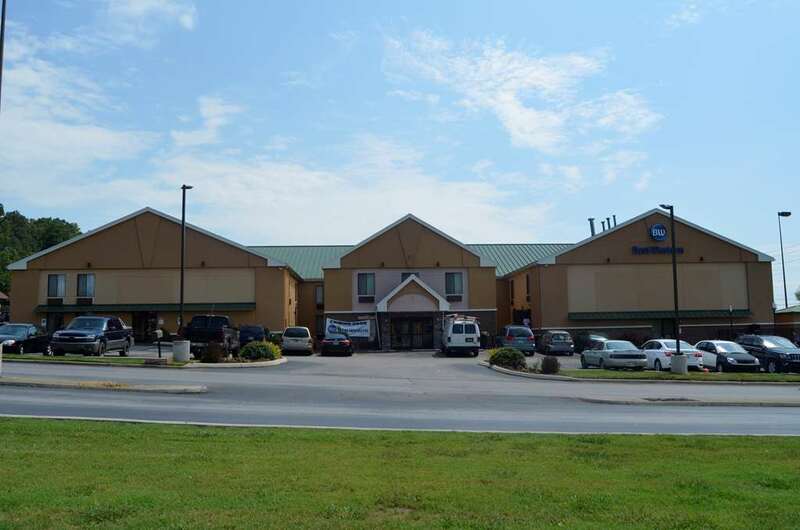 Enjoy the friendly staff, comfortable rooms, and all the amenities you can count on at our smoke-free Best Western Kimball Inn located in Kimball, TN. Easy Interstate access with 16 restaurants within walking distance is one more great reason to choose our Kimball, TN hotel. Bring your loved ones to the picturesque scenery of Lookout Mountain, or explore other destinations near our Kimball family hotel, including: National Cornbread Festival, Chattanooga, Tennessee River, Riverbend Festival and Sewanee, The University of the South. We would like to get you rested and ready for anything, which is why our pet-friendly Kimball, TN hotel offers an outdoor pool, fitness center and a free weekday newspaper. Other amenities include: free Wi-Fi, free coffee, fax machine and business center. Get going with a great breakfast. Start your trip to Kimball with our free full hot breakfast offering everything from hot eggs, waffles and breakfast meat to healthy options like yogurt and fresh fruit. Our inviting guest rooms feature 43-inch flat-screen TVs, coffee makers, hairdryers, microwaves and refrigerators. You will find this location perfect for doing business with many of the corporations found around Kimball, such as Lodge Cast Iron, WestRock, Google Data Center, Tennessee Valley Authority (TVA) and Shaw Industries Inc. Even if you forgot your laptop, we have a 24-hour business center available for your complimentary use. Whether leisure or business travel, alone or with the family, our Best Western Kimball Inn will make your stay a success. Make your reservation today! From: Chattanooga. Take I-24 West to Exit 152B. Make a right turn at the second light. The Best Western Kimball Inn is just ahead. From: Nashville. Take I-24 East to Exit 152. Make a left turn at the ramp. Make a right turn at the third light. The Best Western Kimball Inn is just ahead. From: Huntsville. Take Highway 72 North. Go under I-24 Bridge. Make a right turn at the third light. The Best Western Kimball Inn is just ahead. 5 block(s) from Kimball Crossing, located next to the hotel with 15 Stores including Walmart and Lowe's . 4.00 mile(s) from Shaw Industries Inc.